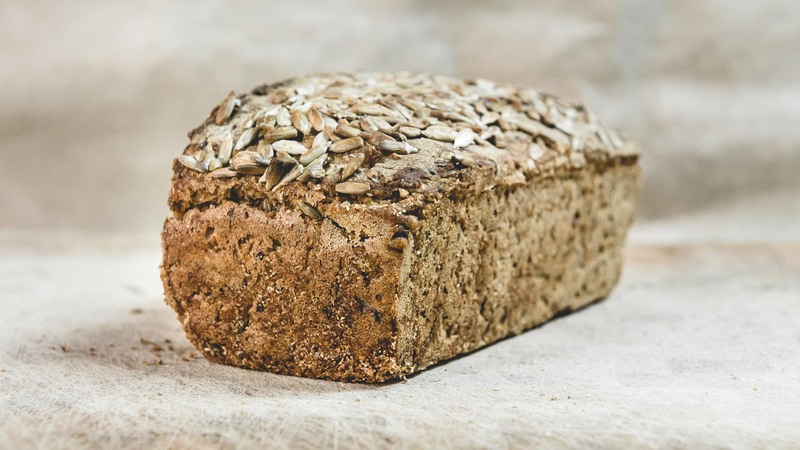 Rye bread commonly eaten in Denmark. 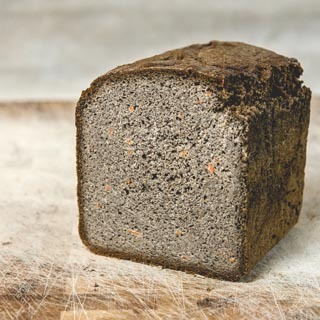 This specific type of black bread has a very high nutritional value and is dear to the Danish who very much enjoy it! 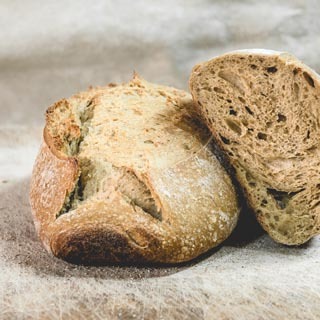 Low in fat, and besides being filled with grains and rich in dietary fiber, this bread contains neither oil nor sugar. 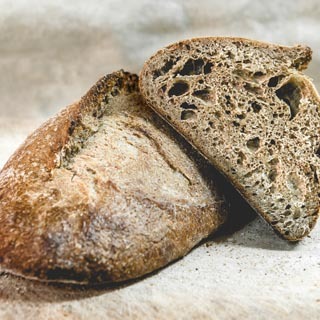 Filtered and vortex structured water, organic flours (integral rye, integral barley, integral spelt), organic coarse ground whole grains (millet, flax, barley, rye, corn, wheat), organic sunflower and pumpkin seeds, organic sourdough, grey Guérande salt. May contain sesame seeds. Nice damp and dense crumb. Flavours of oats, pumpkin seeds and sunflower seeds. Hazelnut aroma and taste.